Everyone thinks the Great White is the ultimate beast on the planet, and they are beasts. 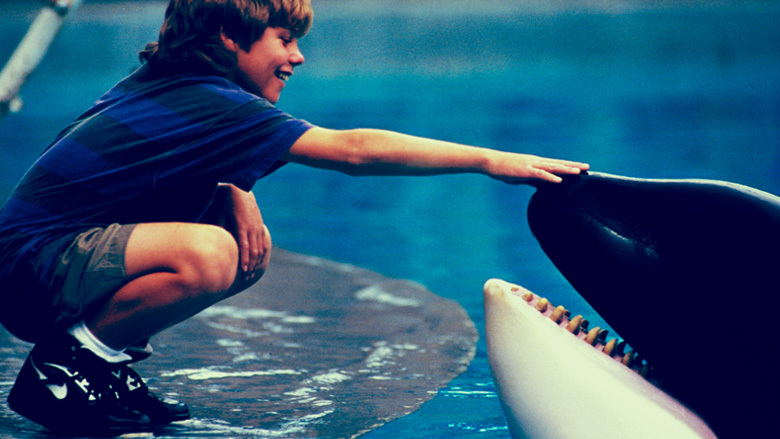 But the Orcas take the throne— because of one, unique thing—they understand the rule of synergy better than any other creature on Earth. In spite of their size, strength, sensory levels, razor sharp teeth, Great Whites are limited. They’re born with no one to teach them how to hunt. And a sizeable number of young sharks die every year, because of a lack of guidance to achieve their main goal—survival. There is zero collaboration between sharks. If an unfortunate seal is seized with one bite by a shark, the shark must then reserve energy and wait for the seal to perish. When water turns red, you know what that’s means, and other sharks invade to take another’s conquest. They consequently fight, attack, and even kill to steal the prize away from one of their own. Orcas are much different. They utilize teamwork to solve problems in order to survive. They formulate tight knit units called Pods. Pods are like the crew, family, or team. Together they hunt, teach, and protect one another. They teach the less experienced how to time the tide to swim on shore and capture seals. And because of the risk, they practice—over and over again. With every risk, you have reward or you have failure, and if an Orca gets stuck on shore, he or she has essentially failed. Now here’s the beauty of this incredible animal, the others in the pod don’t flee or escape their own in this crisis. Instead they communicate, go onshore, and move their bodies to alleviate the sand, while the one who is stuck mimics their movement and they work together to turn a failure into a success. Also, Orcas don’t want to waste energy, but unlike the Great White, they form an alliance and a plan when it comes to hunting. One Orca wounds the seal and the others tire it out. Once the goal is complete, every member of the pod shares in the capture. That said, it’s not surprising that the only predator of Great Whites, apart from man, is the Killer Whale. The Orca’s mastery of synergy literally has them at the top of the game. We, humans, are the most complex and sophisticated of all species, but we share many parallels between the Great Whites and Orcas. Candid truth: there are a million times more “sharks” in our world than in our ocean. These people are limited in their ability to work together. They seek and destroy. You don’t want “sharks” in your circle stealing your successes, blinding your visions, capturing your creativity, or killing your dreams. You want “Orcas” in your circle. You need a “Pod”. When it comes to the greatest, the biggest, the most looming, for example, a Blue Whale, the largest animal in the world, Orcas have been documented in taking them down. They don’t do it alone. They move cohesively in a unit with unparalleled determination. This may take hours. Days even. Yet, they stay the course to see their goal through. Your “Blue Whale” may be: starting a business, teaching an over-crowded classroom, moving to LA to pursue Hollywood, changing the world, developing the next Facebook, or simply, living your life on the right path. We all have Blue Whales. One of mine was moving to New York City. Frank said, “if I can make it there, I’ll make it anywhere.” He is right, and I would be a fool to think that I could conquer the Big City alone. Therefore, I strengthened my “Pod”. No Great Whites allowed. With a secure “Pod”, we have a powerful network to pull from, especially in times of weakness or need. A strong “Pod” grants us the opportunity to learn the keys of success. And if the pod is solid, it can unlock doors and forge new paths. We, too, must mimic the movements of our elders and our mentors, so that we shift our situations with ease and triumph. Therefore, surround yourself with powerful alliances. Provide the space necessary for brainstorming, networking, partnerships, and collaborations to create successful opportunities for one another. Remove the “sharks” in your life and attract the synergy of those who encourage, uplift, inspire, teach and build. We must ambush our goals with the help of like-minded dream-seekers. There’s a great joy in being a part of success; and an even greater reward in sharing in the pursuit of all that this amazing world has to offer. Disclaimer: for those of you mapquesting the nearest Sea World, lets be real and apply these tactics only within the human race and not with REAL sharks and orcas or you’ll surely be sleeping with the fishes!